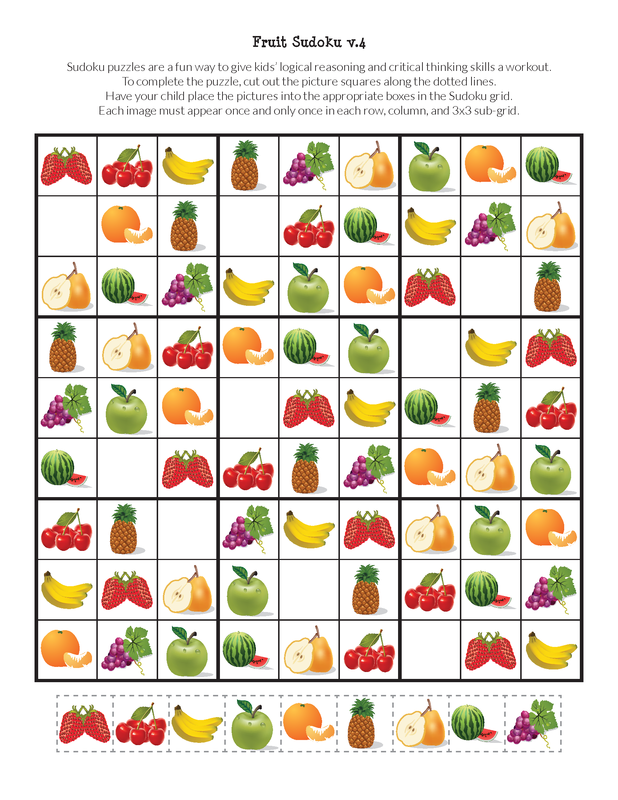 Fruit is the go-to snack food in our home. 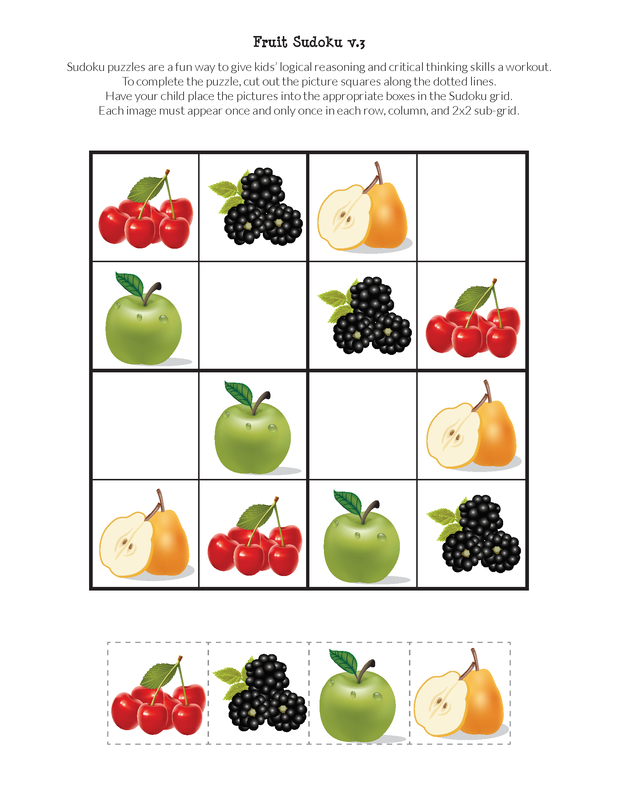 It’s healthy, it’s delicious, and it has just the right amount of sweetness to satisfy my craving for sweet treats. 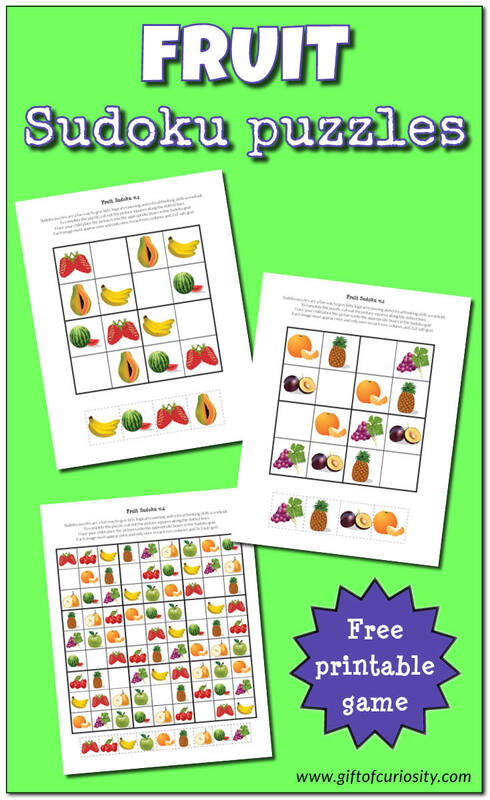 My Fruit Sudoku Puzzles will challenge your children’s critical thinking skills while enticing them to enjoy a wonderful variety of fruits. 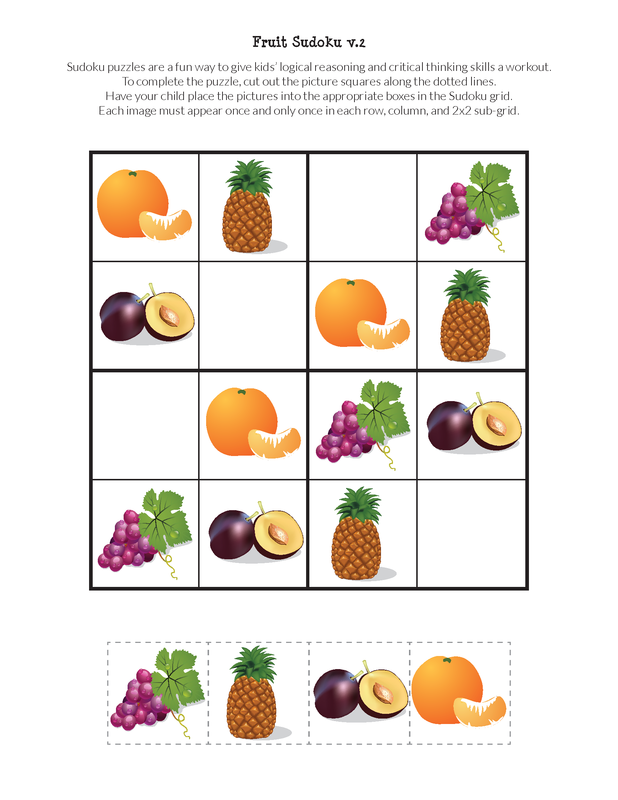 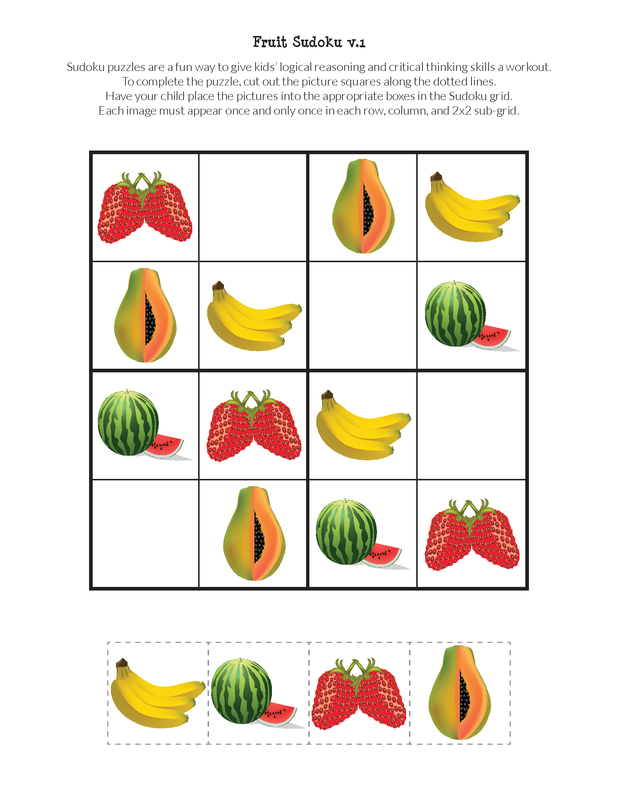 In the Fruit Sudoku Puzzles I am sharing today, I have made the game kid-friendly by adapting it to use pictures of different fruits instead of numbers. 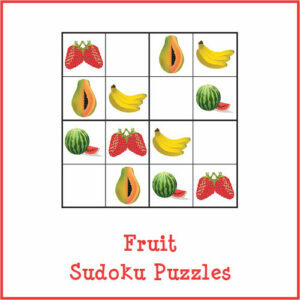 Want a copy of my Fruit Sudoku puzzles?